This piece was done for The Digital Scrapbooking Studio’s January art challenge. I used a paper and a brush given to us by Jilbert who was hosting the challenge this month. I chose the photo as soon as I saw the papers. They were made for each other. 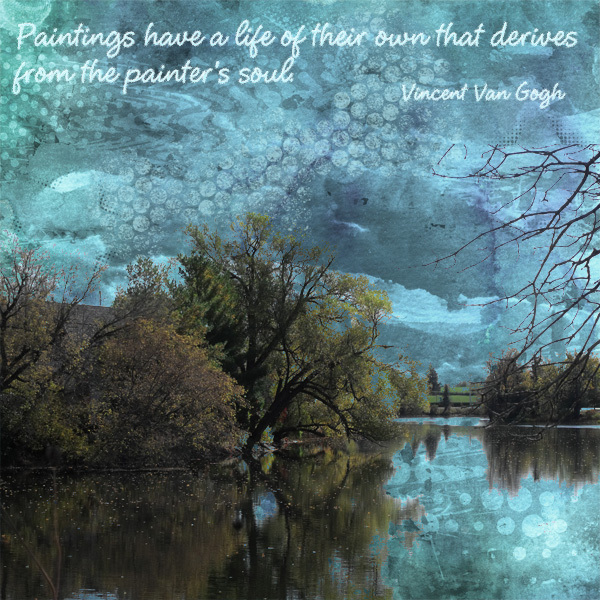 The quote of Vincent Van Gogh’s is one of my favourite of his. I love his paintings and the way he layered strokes of paint on a canvas and created a masterpiece.